Welcome to the world of Current Affairs 2017. 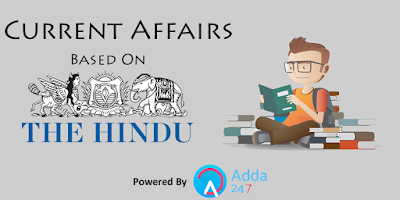 With RBI Assistant and IBPS Clerk Mains round the corner, it should be your priority to cover every aspect of Current Affairs on a daily basis for IBPS Clerk and RBI Assistant Mains so that you can do well in the exam. These current affairs are based on current news. Let us see how many questions you attempt accurately. Q1. Human Rights Day is observed every year on _____________. Sol. Human Rights Day is observed every year on 10 December. The day the United Nations General Assembly adopted, in 1948, the Universal Declaration of Human Rights. Q2. According to the External Affairs Ministry, Which of the following country will host the two-day long Asean-India Connectivity Summit (AICS)? Sol. According to the External Affairs Ministry, New Delhi will host the two-day long Asean-India Connectivity Summit (AICS) on the theme "Powering Digital and Physical Linkages for Asia in the 21st Century". Q3. The provisional figures of Direct Tax collections up to November, 2017 show that net collections are at Rs. 4.8 lakh crore which is ___________ higher than the net collections for the corresponding period of last year. Sol. The provisional figures of Direct Tax collections up to November, 2017 show that net collections are at Rs. 4.8 lakh crore which is 14.4% higher than the net collections for the corresponding period of last year. Q4. Indian Diving Team won how many medals Medals in Indonesia Open Aquatic Championship 2017? Sol. Indian Diving Team won 6 Medals (1 Gold, 3 Silver and 2 Bronze Medals) in Indonesia Open Aquatic Championship 2017. The five-day championship concluded recently in Indonesia's Jakarta. Q5. UN Women in collaboration with Facebook inaugurated a two day event in Mumbai to empower and recognize the magnificent contribution of women in our society. The event was titled as ____________________. Sol. UN Women in collaboration with Facebook inaugurated a two day event in Mumbai titled 'We The Women' to empower and recognise the magnificent contribution of women in our society. Q6. Sukharanjan Sengupta died due to old age-related health problems. He was veteran ____________. Sol. Veteran journalist Sukharanjan Sengupta died due to old age-related health problems. He was 85. Sengupta had worked for Bengali dailies Jugantar and Ananda Bazar Patrika in his long career spanning over six decades. Q7. Name the chief general manager (CGM) in charge of the Reserve Bank of India's financial inclusion and development department who has recently taken over as executive director (ED) in the central bank. Sol. Uma Shankar, chief general manager (CGM) in charge of the Reserve Bank of India's financial inclusion and development department has taken over as executive director (ED) in the central bank. Q8. Name the Musician who was on the top of Forbes’ annual world’s highest-paid musician list shows 2017. Sol. Musician Diddy was on the top of Forbes’ annual world’s highest-paid musician list shows. He is on top despite not releasing any album in 2017. Q9. India's largest carmaker Maruti Suzuki became India's sixth most valued firm. It has replaced _____________. Sol. India's largest carmaker Maruti Suzuki became India's sixth most valued firm, crossing India's largest lender State Bank of India (SBI). Maruti Suzuki's market capitalization stood at Rs 2.73 trillion, marginally ahead of SBI's market value of Rs 2.70 trillion. Reliance Industries is the country's most valued company with a market value of Rs 5.83 trillion, followed by TCS, HDFC Bank, ITC and Hindustan Unilever. Q10. The two-day long Asean-India Connectivity Summit (AICS) will be held on the theme _____________. Q11. India defeated __________ in the Hockey World League Final to grab the bronze medal at the event, in Bhubaneswar, Odisha. Sol. India defeated Germany 2-1 in the Hockey World League Final to grab the bronze medal at the event, in Bhubaneswar, Odisha. SV Sunil and Harmanpreet Singh scored for the world number six Indian side. Q12. BSE's _______________ has received approval from the capital market regulator SEBI on the framework for the listing of debt securities. Sol. BSE's India International Exchange (India INX) has received approval from the capital market regulator SEBI on the framework for the listing of debt securities. The move will enable Indian and foreign issuers to issue masala bonds, Eurobonds, and foreign currency bonds from India INX at International Financial Service Centre (IFSC) at Gujarat International Finance Tech (GIFT) for the first time. Q13. In which of the following venue Foreign Ministers of Russia, India, and China (RIC) had held a trilateral meeting? Sol. Foreign Ministers of Russia, India, and China (RIC) are holding a trilateral meeting in New Delhi. The meeting is expected to review global and regional issues of mutual interest as well as discuss trilateral exchanges and activities. Q14. Name the pioneer of DNA fingerprinting technology in India and former Vice-Chancellor of Benares Hindu University, BHU who passed away recently. Sol. Lalji Singh, a pioneer of DNA fingerprinting technology in India and former Vice-Chancellor of Benares Hindu University, BHU (2011 to 2014), passed away at the age of 70. Q15. Senior IAS officer _____________ took charge as the Chairman and Managing Director of Air India, recently. Sol. Senior IAS officer Pradeep Singh Kharola took charge as the Chairman and Managing Director of Air India. Kharola assumed charge from Rajiv Bansal.